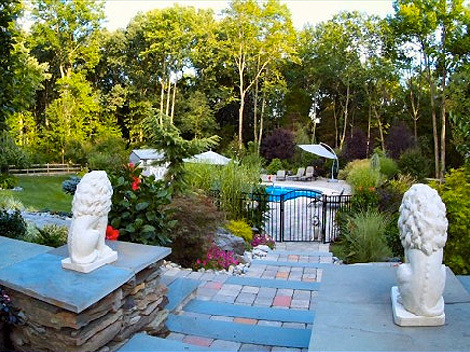 Whether you have an existing pool or are installing a new one the designers at Northampton Gardens, Inc. will consult with you and prepare a comprehensive plan to enhance the overall enjoyment of having your own personal oasis for FREE. 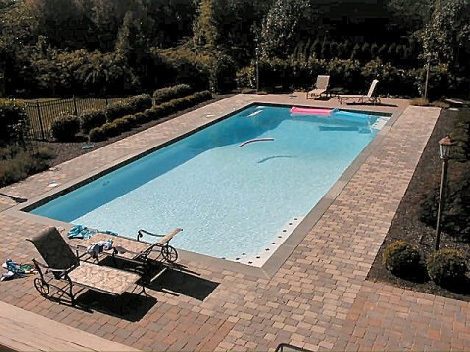 Just as pools come in a wide variety of shapes and sizes there is a plethora of choices to make regarding the outdoor environment you would like to create. 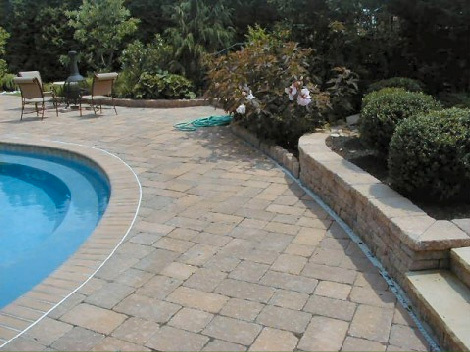 Those sultry summer days are a splash but outdoor living is a year round consideration and our aim is to create an environment that will maximize your enjoyment even when the water is too chilly for a swim or there is snow on the ground. Just a few basic considerations when creating your personalized plan are safety, privacy, esthetics, and entertainment environments. 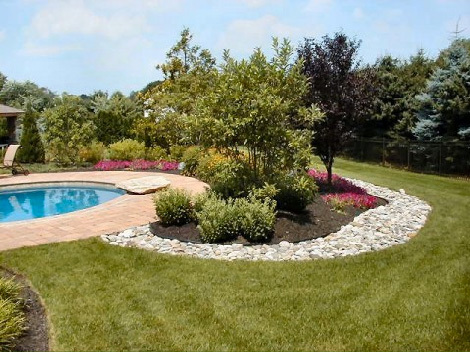 In regards to safety and privacy we use both creative fencing and a variety of plant and hardscape materials that are designed to blend well with the pool area which is the centerpiece of your yard. Our goal is to create the type of environment that will highlight your oasis with ornamental features such as boulders as well as low voltage lighting systems that will make your yard glow year round. We all know that one who has a pool has many friends right? And it is important to keep them happy and entertained during their visits. Consider a pool house, or a stone fire pit, or a barbeque kitchen area. 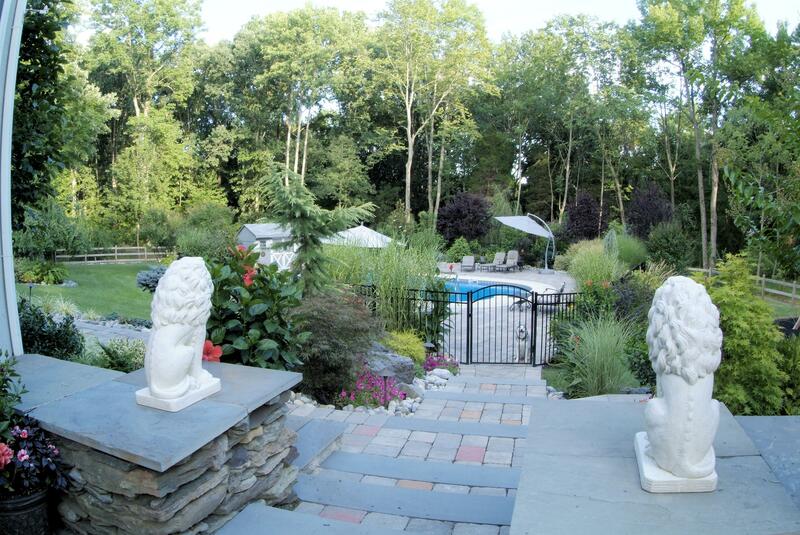 We can design a waterfall or build you an adjoining patio area where you and your guests can lounge and enjoy life. No matter how elaborate or eccentric your vision may be we are happy to collaborate with you in designing a plan that will fulfill your dreams. We are experienced, licensed, and insured and invite you to a FREE consultation and personalized design that will meet your goals and budget. 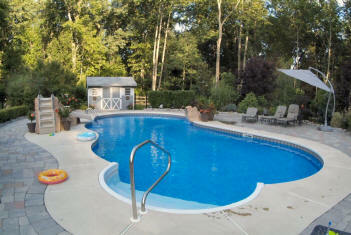 Take a moment to review some of the photos of poolscapes we have created and call our references. Call us at (215) 766-2200 or e-mail to set up an appointment today. Pennsylvania Home Improvement Contractor Registration #PA001099 || Copyright © 2012 Northampton Gardens. All rights reserved.